out of Orange County, New York. 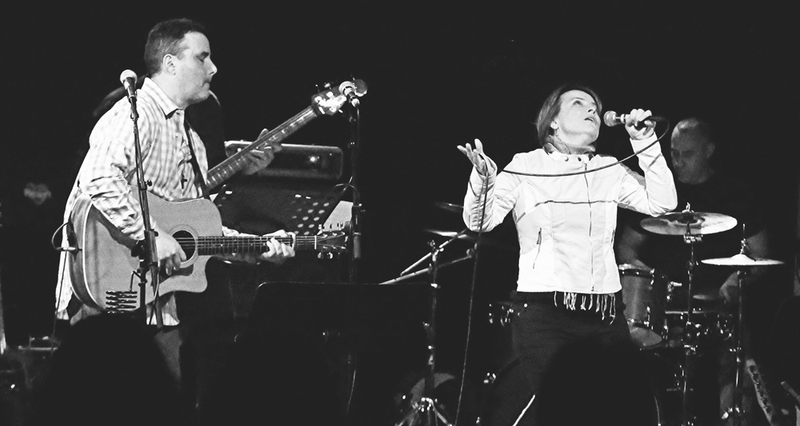 The group's leads, Melanie Waldman and Adam Land, formed Mercy Shore in 2015 while playing together as part of a Celebrate Recovery ministry. The two began a ministry born out of God's redemptive work in their lives, to minister to the broken-hearted. 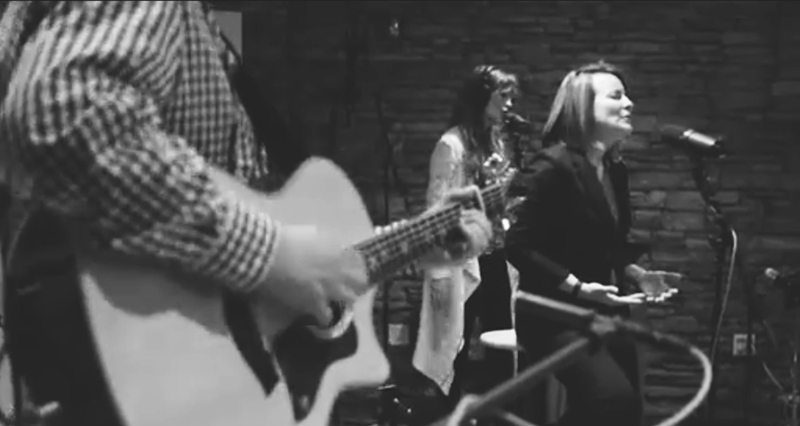 Melanie is a worship leader at Liquid Church in New Jersey and a graduate of the Boston Conservatory. She released several solo projects before meeting Adam. Adam leads Denton Presbyterian Church's worship band and is trained in classical and jazz guitar. He graduated from the University of Chicago. Together, Melanie and Adam write the songs for Mercy Shore. Adam and Melanie share their stories of redemption through their music and performances with Mercy Shore. After being the victim of sexual abuse as a child, Melanie had lived much of her life fragmented, in fear and troubled relationships. God graciously brought her to the end of herself and she surrendered her life to Jesus. Over the course of many years and also miraculously in an instant Jesus restored every aspect of her life. Adam came to Christ in his 40s. He learned, through Christ’s infinite mercy, that whatever disparate and dark paths he had wandered, he was welcomed, recognized, and loved in Christ. Recovery has been a gift to allow Adam to step away from isolated and destructive behaviors to a place of love and reconciliation with his wife, family, and community. This restoration they’ve experienced is the inspiration behind many of Mercy Shore's lyrics. Through their songs and concert events Adam and Melanie share the Good News and offer testimony of the restorative and miraculous promises of Christ. They see their role as messengers of reconciliation, given the task of reconciling people to God (2 Cor. 5:18). After recording their 2015 self-titled debut CD in Memphis, Tennessee with Madison Line producer Kirk Kienzle Smith, they have had the opportunity to play for thousands of people in concert events. Mercy Shore plays as a full band and as a duo in smaller venues. In 2016, Adam and Melanie took part in the Extreme Tour. There they met Riley Kidd and later collaborated to write Only Love, the title track of their newest album. 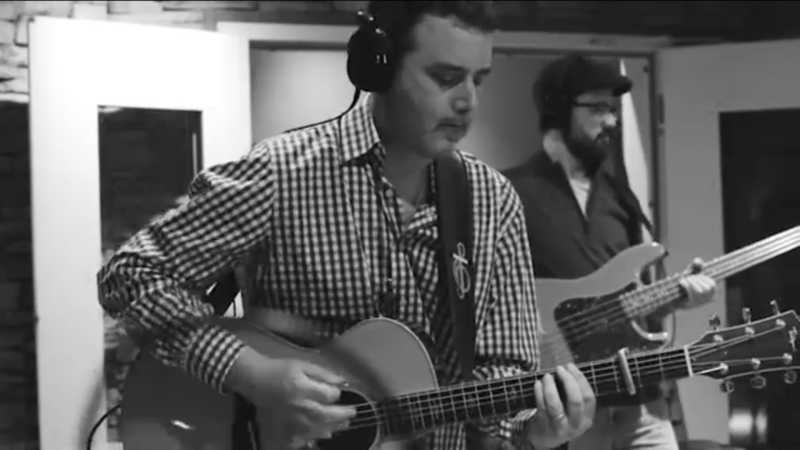 Mercy Shore worked with producer Ryan Corn of Curb Records to record the Only Love EP in 2017. Mercy Shore’s music is available on iTunes, www.mercyshore.com and numerous online retailers. "Everyone who hears is blessed and lifted up. Thank you Mercy Shore for reminding us of God's grace and mercy." "This beautiful music has helped me find strength in God and peace in my busy life." "...Melanie's voice jumps off the record, like a child, giving a new reason in every song to celebrate what God has done for her and for the listener." "This anointed music is powerful. The heart and honesty of the human condition translates well to our need for a Savior. The music returns you to true worship." "...Devotional music with grit and substance. Their self-titled album provides a musical Sabbath for the heart and the ears."